Aidan also took his first walk in the snow this weekend! 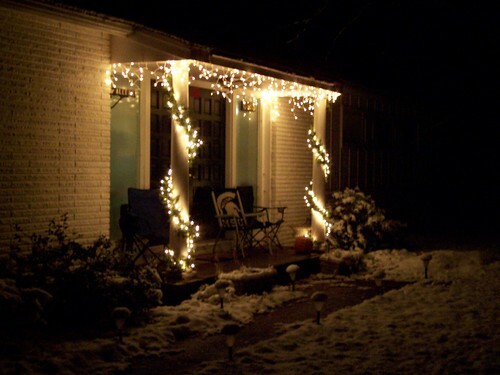 My favorite part about christmas lights is the way they replace the need for a porch light, with a softer and more comforting light. It makes winter feel softer at night. Agree with you 100%. Funny thing is they are bright enough to cause our little solar path lights to turn off at night. All I have to say is there should be no Christmas lights until after Thanksgiving. Though for me anything Christmas should not be around until after then as well. I think Retail killed my love Christmas before Thanksgiving.